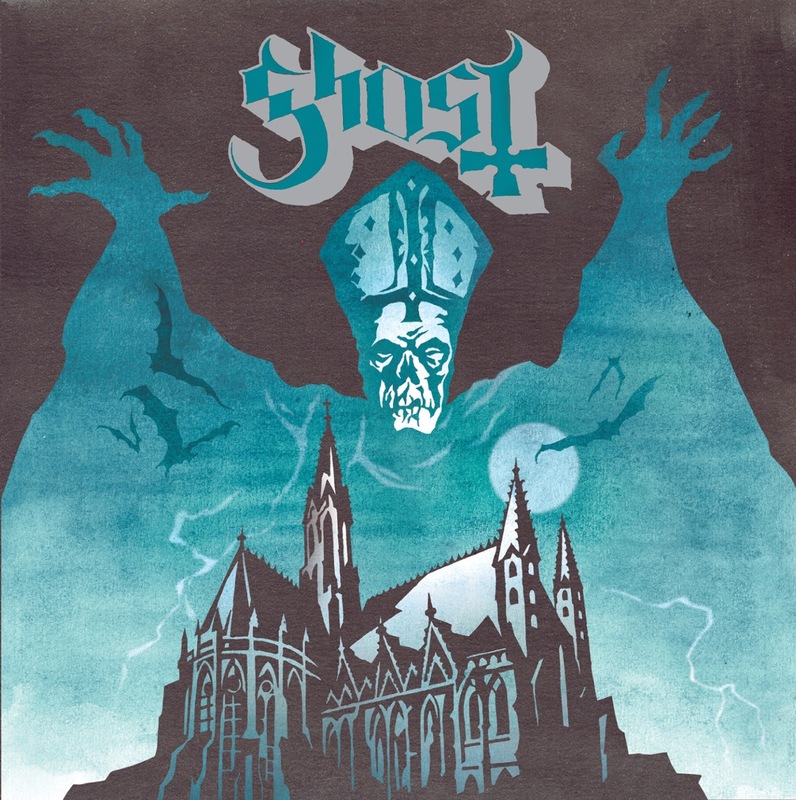 Just heard this band by the name of Ghost, they are one of those more theatrical bands with a stage presence consisting of a vocalist decked out in full priestly garb with skull paint on his face, meanwhile the rest of the band is all in dark hoods. The music is very reminiscent of old psychedelic rock and metal, often twinged with a stoner rock kind of feel. The vocals are all clean singing, and I am still in a love hate relationship with them. His range and tone rarely change little variety, it does get a little boring. There is some nice lead work here, and the overall tone and feel of the sound is very nostalgic and appealing to me. Of course this band is a by-product in sound comparison to the late and great Mercyful Fate. The band is good enough for me to take notice, I look forward to hearing their future work.